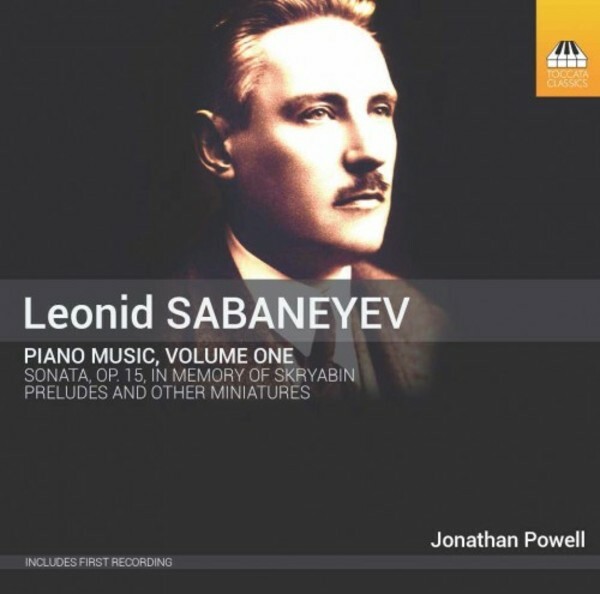 For most of the past century, the Russian composer Leonid Sabanayev (1881–1968) was known principally as a writer, not least for his publications on his close friend Alexander Skryabin – but this remarkable man was also a scientist and mathematician. It is only now that his own music is being rediscovered – much of it inspired by that of Skryabin. The pianist, composer and writer Jonathan Powell has a reputation for tackling music of enormous difficulty, not least that of Sorabji, whose Opus clavicembalisticum, Sequentia cyclica and other gargantuan works he has played around the globe. He studied the piano with Denis Matthews and, for a longer period, Sulamita Aronovsky. He took a music degree and doctorate in musicology at Cambridge University, where he also taught. He has a particular interest in music of the early twentieth century, including that of Scriabin and other Russian modernists. He is also a self-taught composer. He has made a number of previous recordings for Toccata Classics, including the music of Goldenweiser, Kornauth, Mediņš and Eiges.